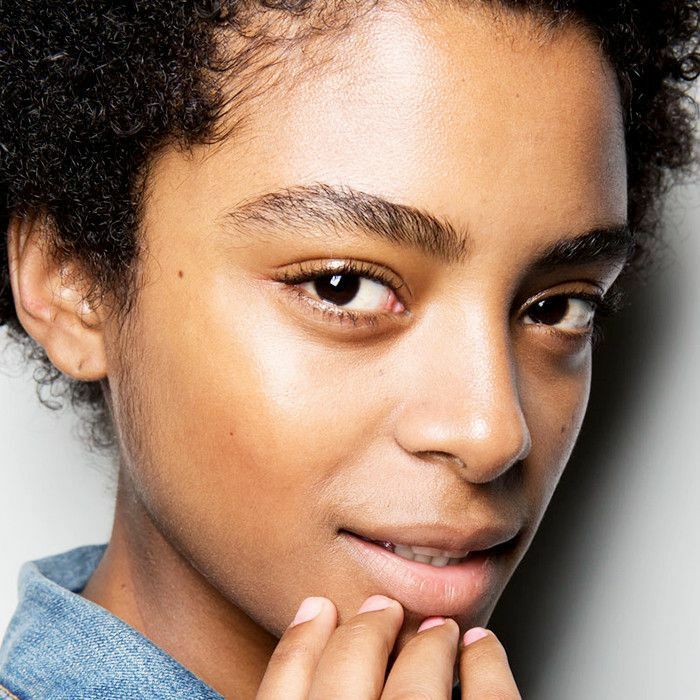 What Age Does Acne Really Go Away? It's easy to associate acne with youth. Hormonal changes, pubescence, teenage oily skin, stress, and poor (takeout) diet in our early 20s—these are all things commonly linked to pesky breakouts, or worse, cystic acne. So when acne continues to rear its ugly head in our late 20s, 30s, or even 40s, it's like our skin is playing some kind of sick joke on us. Why is adult acne even a thing? It seems like an oxymoron, if you ask us. "If underlying factors are not addressed, acne may not stop at all," explains Dr. Carl Thornfeldt, founder of Episciences. "Twenty-six percent of 40-year-olds and 12% of 50-year-olds suffer from acne, and 10% of females have oily skin from puberty on through their whole life." Curses! So why does this happen? There are actually a number of factors. Allow us to explain. "There are several causes of adult acne including hormonal fluctuations, stress, and genetics," says Dr. Dennis Gross. "Adult acne usually begins in the late 20s to early 30s. Stress is a catalyst that can play a role in aggravating the condition. Genetics plays a large part as well. Hormonal changes as a result of pregnancy can affect adult acne, worsening or improving the condition. Another hormonal change that can affect adult acne is stopping the usage of birth control pills, as well as premenstrual hormonal fluctuation. Also, perimenopausal hormonal changes or fluctuations may change the oil chemistry of the skin, which can lead to adult acne." Dr. Thornfeldt says acne may be caused by the skin's allergy to yeast. If you thought yeast issues were only something that happened, well, down south, the skin can experience yeast overgrowth, which causes aggravation and breakouts. This can be a result of greasy lotions and oils, naturally oily skin, oral contraceptives, and stress, to name a few factors. "Diet and lifestyle play a role in everything with the body from arthritis to wrinkles. Lifestyle isn’t the cause of adult acne, but it's an influential factor. Everyone must consider diet, sleep, and exercise, and minimize pro-inflammatory foods in their diet, like sugar and dairy. Gluten is controversial, but sugars and dairy are the biggest factors and people must cut back," explains NYC-based cosmetic dermatologist Dr. Paul Jarrod Frank. Dr. Thornfeldt also recommends avoiding other pro-inflammatory foods such as caffeine, chocolate, alcohol, and starch. Speaking of oily skin, aside from yeast allergies, overly oily skin, as we know, becomes easily plugged and inflamed. Even when we get older and we feel our skin is drying out, the absence of oil can cause acne (it's a losing battle, really). Says Dr. Gross, "When acne occurs, the oil is too thick and waxy for its own good. Instead of flowing freely through the pores, it becomes blocked and forms a plug. Adult acne is also often associated with dry skin, which can exacerbate an existing acne condition. When the skin is dry, the dead skin cells flake off and can further block pores that already have an oil flow problem incubating the bacteria and leading to acne. These clogged pores, aka flat acne, may result in the form of blackheads, or they may simply appear as enlarged pores on the skin's surface—this is generally the beginning stages of acne." Okay, enough of the bad news. How do we actually get rid of adult acne? Thankfully, all doctors interviewed say there's hope. Dr. Gross says to look for exfoliating, pore-clearing OTC products. 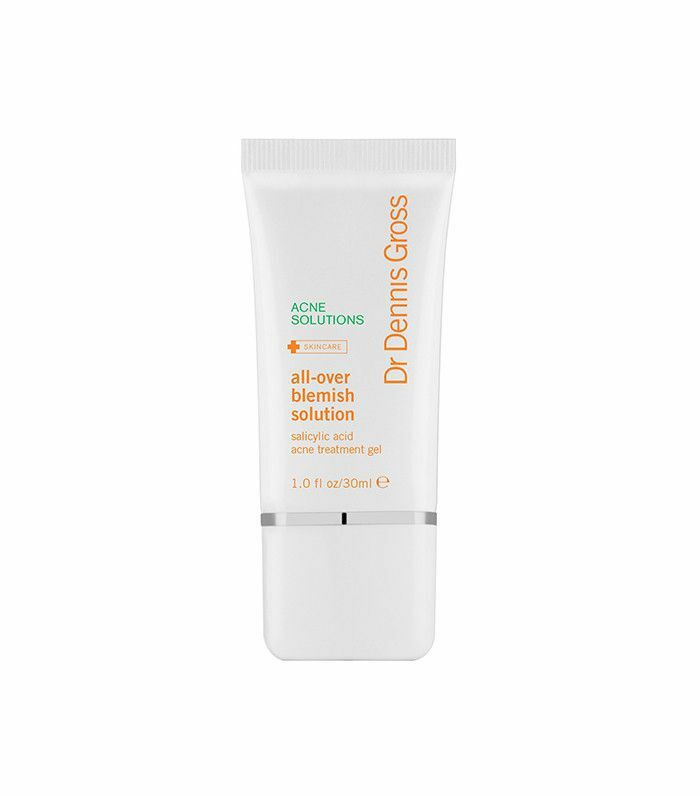 "To treat acne most effectively—yet gently—start out by using over-the-counter anti-acne remedies that contain either exfoliating, pore-clearing salicylic acid or bacteria-banishing benzoyl peroxide, such as my All-Over Blemish Solution ($42). I recommend looking for products that contain bisabolol, an active ingredient derived from chamomile extract that helps soothe redness and reduce inflammation. Sulfur is also a powerful ingredient that controls the oil that feeds the bacteria and can be found in Clarifying Colloidal Sulfur Mask ($42)." Dr. Thornfeldt also recommends products that address bacterial and yeast-causing acne, like his Epionce Lytic Plus Tx cream ($54). "[It contains] salicylic acid, azelaic acid, willow bark extract, and zinc pyrithione," he explains. Lastly, Dr. Frank says if the acne is more aggressive, a visit to the dermatologist may be in order. "Oral treatments such as pills can be more effective than topical treatments. Accutane is more aggressive, and most dermatologists would agree that Accutane is underused. It's the only 'magic' pill we have. There is no cure for acne, and unfortunately, many patients show up and have already developed scarring of the skin. A patient should never get to the point when they have scarring of the skin. Accutane must be taken seriously, prescribed, and monitored." Do you have adult acne? How do you address it? Please share with us below!